We haven’t had a walk since arriving home from Scotland, it’s been a little busy! So we head off for a quick scramble around Mullion while the weather holds up. Another favourite walk, we could probably do this one with our eyes closed, but then we’d miss all the lovely scenery – and we might fall into the sea! Walking along the familiar route towards the South West Coast Path, which takes us past the house aptly named Seven Pines (except one pine is dead – so maybe it should have a name change) we notice that the blackberries are not yet ready to pick! It seems late but maybe the all the rain has delayed them. My lovely Pamela Micheal book ‘Edible Wild Plants and Herbs’ has an informative chapter about blackberries – or the bramble – Latin name Rubus fruticosus. It tells me that the hard green berries ripen ‘at the end of summer’ turning first red and then shiny black. 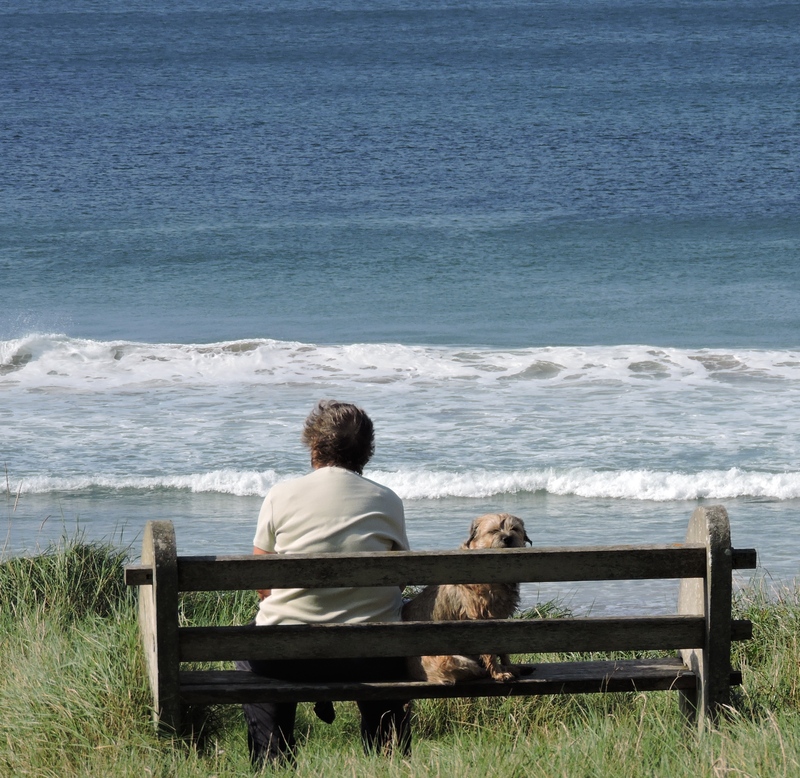 Some questions then – when is the ‘end of summer’? Obviously not yet, as the blackberries here haven’t ripened, so there’s hope for some warm weather maybe? Also – why do the berries go red and then black? In search of the answers, I found ‘Green Deane’ on a website called ‘Eattheweeds.com’! Green Deane is full of useful information about blackberries among other plants and he confirms that the berries are first yellow or green then turn red then black – but he doesn’t say why – its a mystery! Unless you know? 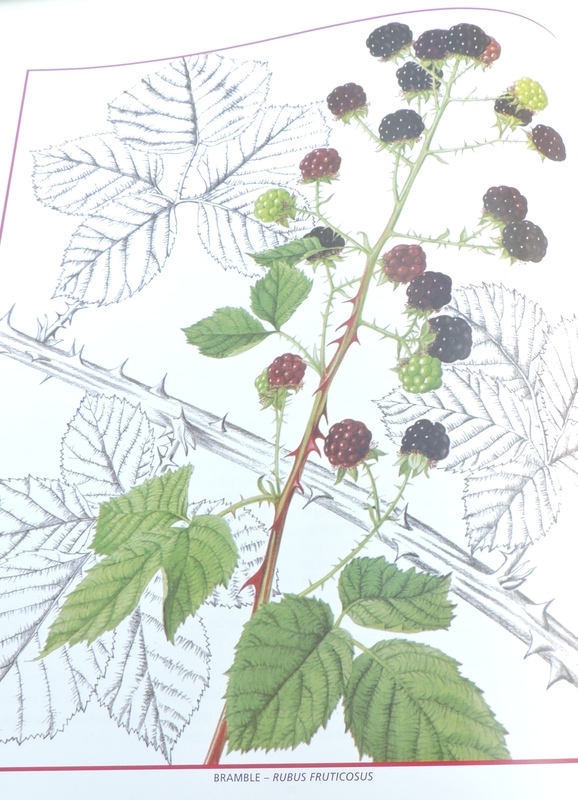 Bramble – Rubus Fruticosus – a painting by Christabel King in Edible Wild Plants and Herbs. There is agreement though that there are many, many subspecies of bramble, some with large and luscious fruit and some hard with more pips than flesh and by mid-autumn all berries will have turned watery and tasteless – so, they better hurry up and ripen or mid-Autumn will have ruined them before summer has put an end to their ripening! Pamela Micheal gives us some interesting history about the bramble – in Cornwall, for example a person suffering from boils would crawl or be dragged through the bramble, and in many places it was thought that rheumatism would be cured by crawling underneath the brambles! You can’t help thinking that if a person could crawl beneath bramble bushes they couldn’t be much in need of a cure for either rheumatism or boils! There is evidence that blackberries were eaten in Neolithic England – a preserved Stone Age man was dug up on the Essex coast and blackberry pips were found in his stomach. In the sixteenth century, decoctions of the leaves, roots and stems were recommended for loose teeth, piles, sore throat and ‘eies that hang out’!! 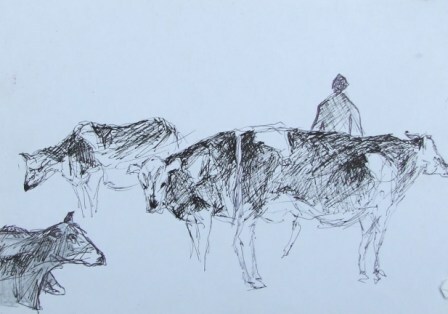 Now those of you that have been with me from the start will know all about my cow phobia by now…….and will be pleased to hear that I DID NOT PANIC! Nor did I turn back in terror. Nor did I suggest to the long suffering Mr RR that we take the long way round by insisting that I need the extra miles (although of course I do!). 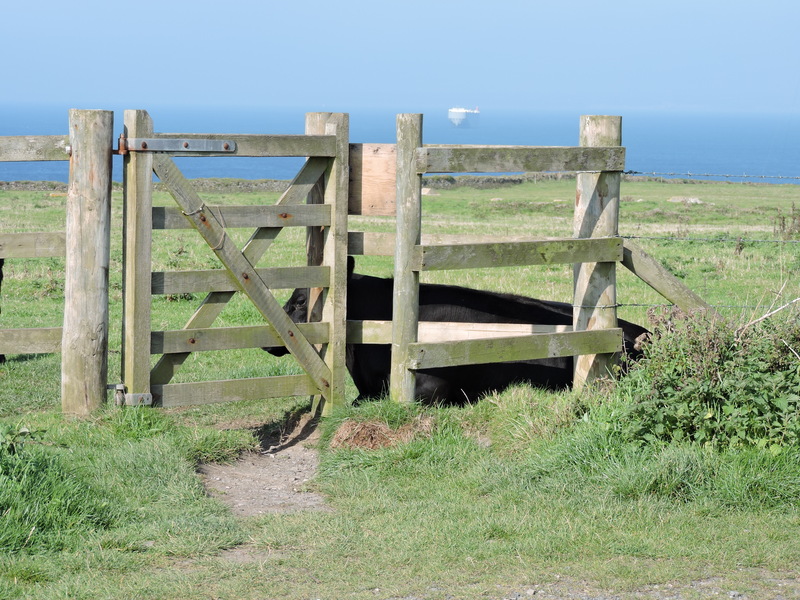 No sireeee…….I just walked through that gate with my gaze fixed on the far horizon and not until I was well passed the danger spot did I turn and look. 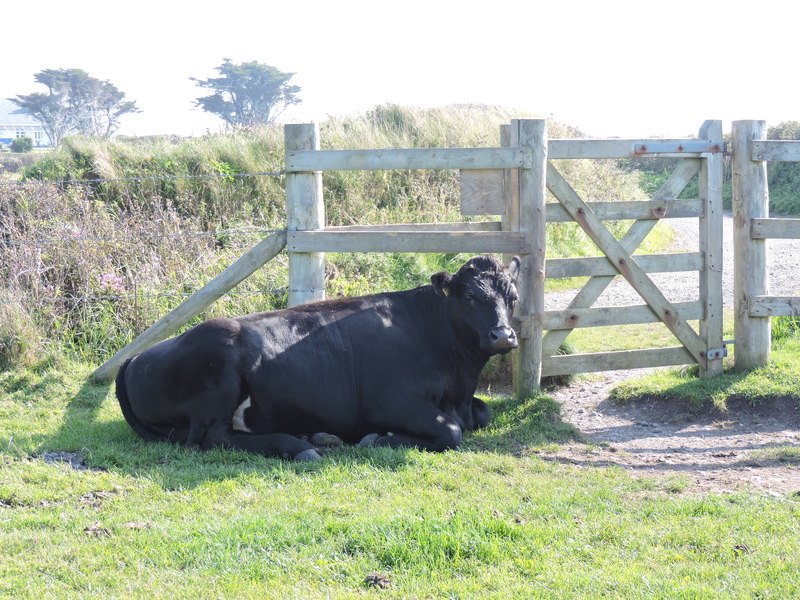 As you can see – she’s about as impressed with me as I was with her! Fortunately all her mates were also basking in the sun and I guessed that even in my present state of ricketiness, I could cross that field quicker than they could get to their feet! 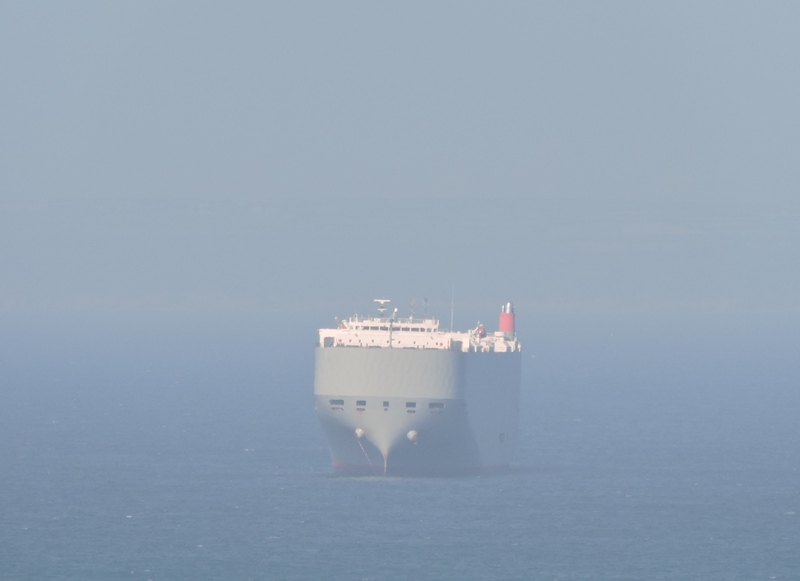 This is what I could see on the horizon – a ghostly ship anchored in the mist. And it does! I think its meant to be a globe – close up you can see the carvings which are meant to represent the continents. 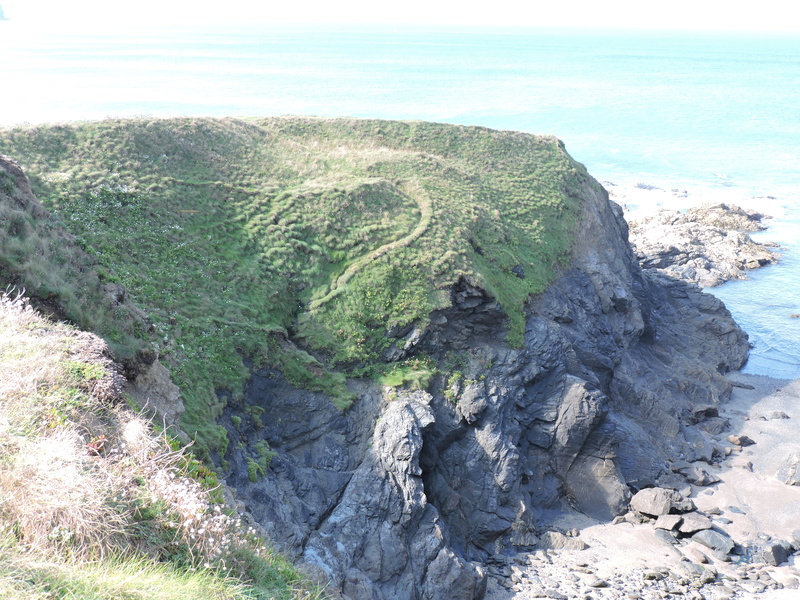 But the mass of lichen has smothered it and it does indeed look like a cat’s head! The column is four sided and carries engravings on each side describing the history of the nearby wireless station from which the first signals were transmitted across the Atlantic Ocean by wireless telegraphy. The signals were a repeated morse letter ‘S’ and were received in Newfoundland by Guglielmo Marconi in 1901. By the time the first wireless station was demolished in 1933, wireless was established as the principal means of communication across land, sea and air. But there’s a darker side to this significant achievement. The so-called Marconi Affair of 1912-13 was a political scandal which followed the announcement by the Liberal government that it proposed to employ the British Marconi Company to establish an ‘imperial wireless chain’. Some ministers were accused of attempting to profit from their knowledge of an impending contract between the government and the Marconi Company and of influencing the deal in order to gain from Marconi shares. There followed a parliamentary investigation into the actions of Lloyd George (Chancellor of the Exchequor), Sir Rufus Isaacs (attorney-general) and Alexander Murray (Liberal Chief Whip). found to have been ‘imprudent’ but not corrupt in buying American Marconi shares. They apologised for their stupidity and this was accepted by the Liberal majority to the wrath of the Conservative opposition who felt that scandalous events had been brushed over by the parliamentary sub-committee charged with investigation. Although Marconi himself was not implicated in the allegations – he was said to have suffered lasting psychological and physical injury, as the scandal broke in the media just before the first Imperial Wireless contract was signed. Escaping to Italy with his wife, he was involved in a head-on collision and lost his right eye. In the event all the ministers made losses on their shares. 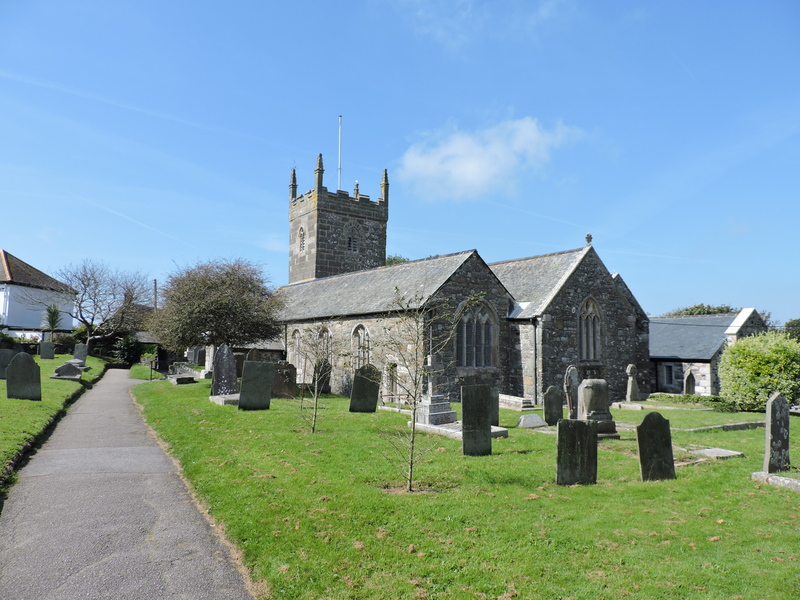 Mullion Church – well-known for its collection of medieval bench-ends. The tower is constructed of local granite and serpentine.